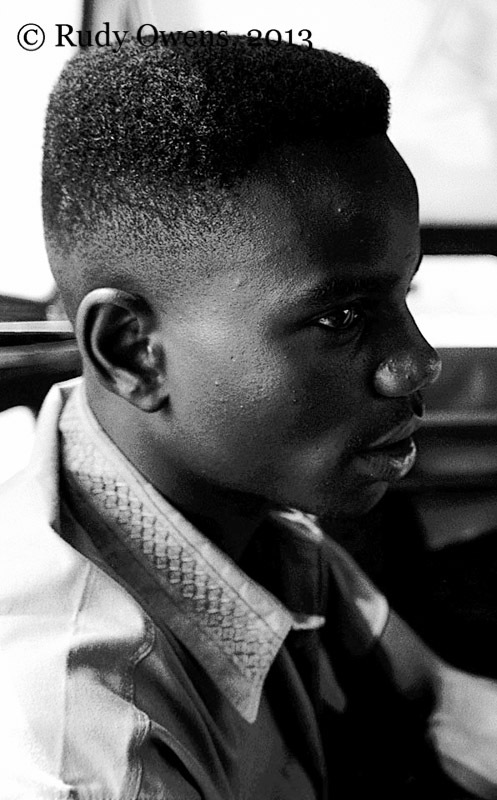 I took this photo of a Rwandan refugee who worked on a bus between Kigali and Kampala. He carried himself with great grace. He was among many who taught me how to project this kind of pride, regardless of the environment. However, a flip side to this truism is that a person’s true character and intentions can shine through one’s costume. In Africa, during my visit in 1997, I observed extreme poverty among many residents of Uganda, Rwanda, Kenya, and Tanzania. Most of the poorer folks I met in many communities did not let their economic reality control their exterior appearance. People carried themselves with grace and style, even if their clothes were not the finest. I do not recall people dressing down or intentionally looking less then proud or intentionally wearing clothes that made them appear less dignified. When I came back to the United States, I vowed never, ever, under any condition, look like a bum or show that I did not care about my clothes and appearance. This was true even if was wearing shorts and a T-Shirt. There are obviously different rules in this country, but not the rules I choose to follow. The pride I carry is mine to choose alone, and I at least can make this choice.